KV Duong is a London based painter and action artist. His work focuses on personal identity, migration, sexuality and human relationships. He draws from personal experiences growing up in Saigon, Toronto and London to explore the integration and conflict of Eastern and Western cultures and values. With a background in structural engineering, KV constructs layers of paint, paper and mixed media to investigate texture, form and materiality. He uses conventional brushes, household items and even his limbs as tools. 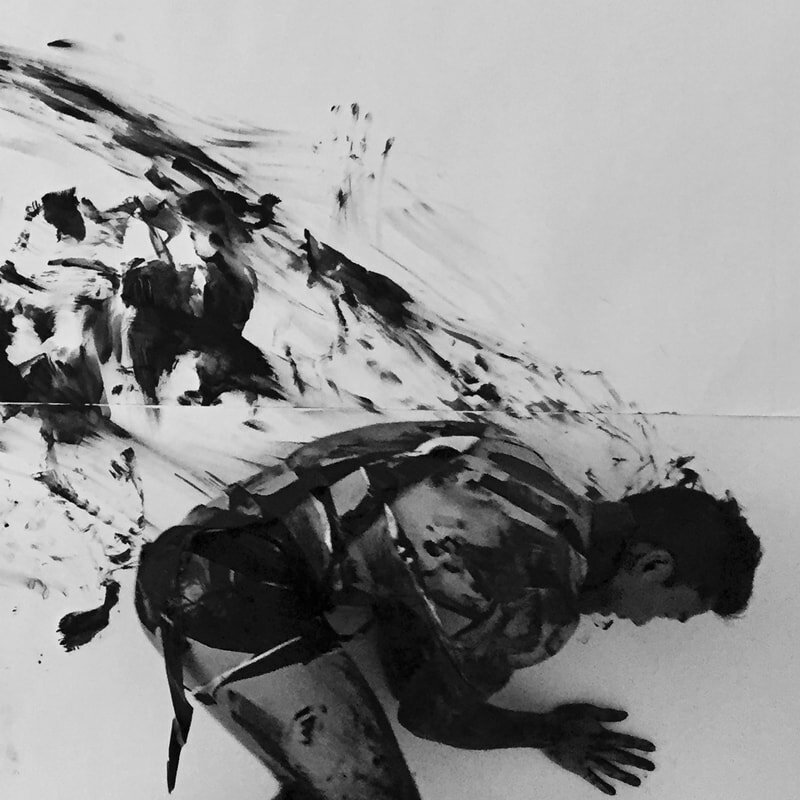 His body paintings further extend self and emotional expression by including the physicality of space and movement with monochromatic acrylic paint. The intimacy and interaction of skin, canvas and paint is explored. KV is drawn to this physical method for its often unsettling quality and intense yet transient nature.